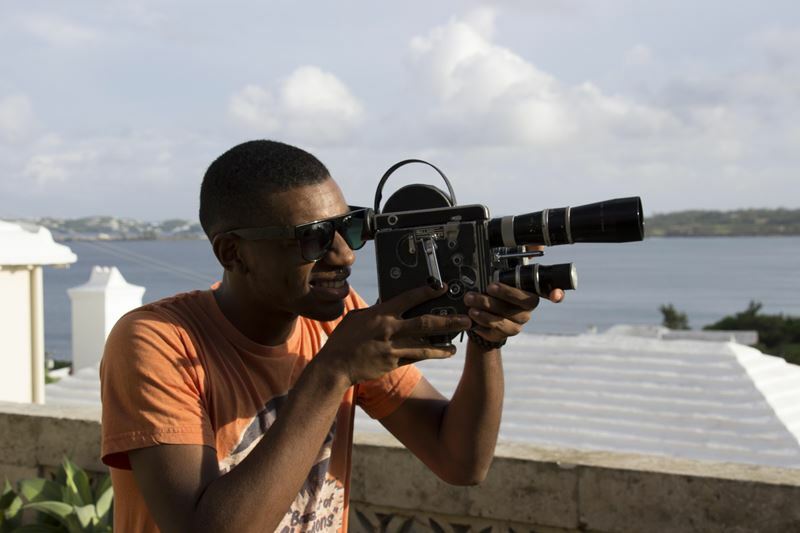 Young Bermudian filmmaker Al Seymour Jr. has released a new short film made specifically for theatrical release entitled ‘Slight Fright’. The film was produced this past August and features a cast of teen characters who are all recent graduates of CedarBridge Academy. “Slight Fright,” tells the entertaining story of three friends spending an evening at home on Halloween night. The short suspense story will screen at the Liberty Theatre before the start of the movie “Goosebumps” now playing. Mr. Seymour graduated from CedarBridge Academy this past June and spent his S4 year producing video content and doing photography for the school. Much of his shorts work can be seen on Youtube and include a National Trust film, a Spirit Day film, a cliff jumping fun video and a farewell tribute film to the 2015 CedarBridge graduating class. He is currently studying Aviation Operations at Seneca College in Canada. His love for cinematography runs in tandem with his interests in aviation. His sister Kerri is also a cinematographer, animator and editor and is currently in her final year at Humber College in Toronto, Canada. Well done young Seymour. The camera lens runs strong in your family. Go Ally!! Proud of you.